Creative writing exercises: writers, know thyself. Today’s writing exercise is an excerpt from 101 Creative Writing Exercises, a book packed with creative writing exercises and ideas. This exercise comes from chapter 2, “It’s Personal,” and it’s called “Writer, Know Thyself.” Enjoy! There are many forces that drive writers to the page. Some do it for love, for creative expression, or because writing is simply something they must do, a compulsion. Others do it for riches, prestige, or to make a living. It’s not easy to succeed as a writer. Most writers have day jobs and write during their free time, chipping away at novels, drafting essays, or penning articles, short stories, and poems. They spend their evenings polishing their work, and they spend their weekends submitting it to agents and editors. Some plan to self-publish. Many already have. Writing professionally requires an immense amount of self-discipline, because in the early years, you’re hustling. Trying to land gigs. Building up clips. On top of self-discipline, writers are competing in a field that’s saturated with dreamers and overrun with talent. Creativity is fleeting; gigs are scarce. Far too many novels end up half-finished and buried in a bottom drawer. For those who intend to succeed, finish that novel, get that poem published, or earn a living wage as a freelance writer, staying focused is imperative. Those who succeed are not the most talented or the smartest. They are the ones who refuse to give up. They have good writing habits; they are focused and motivated and consistently work toward their goals. As a writer, it’s important to know where you are in relation to your goals. 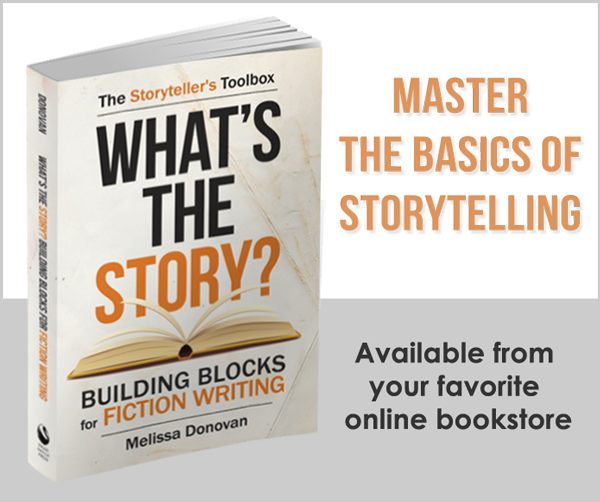 This exercise presents a series of questions about your goals and motivations as a writer. Your job is simple: Write a short paragraph to answer each question. Keep your answers concise and try not to go off on tangents. You can revisit this exercise at least once a year to see how you’re progressing, to stay focused and motivated, and to remember why you write. What do you write, or what do you want to write? Think about form (fiction, poetry, memoir, etc.) and genre (literary, speculative, romance). Be specific. How often and how much do you write? Ask yourself whether you have enough time to write and whether you could make more time for your writing. What are your top three goals as a writer? Why are these three goals important to you? What is your five-year career plan as a writer? What do you need to do over the next five years to achieve one (or all) of your top three goals? In the past year, what have you accomplished in working toward your goals? What can you do over the next year to move closer to your top three goals and your five-year career plan? Tips: Keep your goals separate and specific. If you want to publish a novel through legacy (traditional) publishing, you don’t need an additional goal of getting an agent. Getting an agent is implied in the greater goal of legacy publishing. If you have more than three goals, then list up to ten, but highlight your top three priorities. If you’re not sure what your goals are, then make goal-setting a goal. Give yourself some time to set goals (a few weeks or months). Variations: Instead of answering all the questions in a single session, you can spread them out and answer one question a day. While concise answers will be the clearest, the first time you do this exercise, you might want to write a full-page response to each question. You can also use these questions as journal prompts and write your answers in your daily journal. Applications: These questions help you clarify your intentions. When you know what you want to accomplish, it becomes easier to attain. In addition, articulating your goals ensures that you can discuss them intelligibly, which comes in handy when submitting query letters, in meetings and interviews, and in discussions with other writers and professionals in the publishing industry. I write because I adore words, and there’s few things better than dribbling around with them. The short answer is that I write because I have things to say to an audience. The somewhat longer answer is that I write because I see it as a necessary step in my growth as a person. Writing is an exercise in self-actualization to me. I was a content consumer for most of my life and I’ve thought about it enough that I’m wanting to create my own. So I do. I also have a dream of being good enough at this and sufficiently networked to make this a much more significant part of my life, including making it a big part of my livelihood. Plus it’s fun to make things. Hi Melissa. I always say that I love to write because I like playing with words, sharing and expressing myself. And with blogging I can now also add connecting with people to that list and aiming to earn some $$$$ too. But I think below all that is that it keeps me searching and uncovering more. I write because I am endlessly fascinated by words, and by the power of language. I write to understand myself and my world. I write for the feeling of accomplishment I get, having written. I write because it makes a few of my friends smile to read my words, and bringing those words to a larger audience gives me a goal to structure parts of my life around. And most of all, I write because when I’m not writing, it feels as if something’s missing. @Mark, I think the reason I started writing is because it’s fun to make things. Now there are many reasons for me to write, but I think the number one reason is to connect with others. @Writer Dad, Playing with words! I enjoy that too and wish I could do more of it. That’s how poetry writing is for me (at least the revision process) — a whole lotta play. 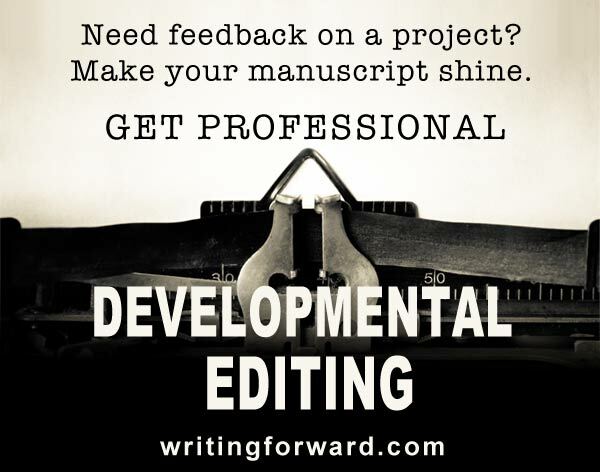 @Davina, The more reasons we have to write, the more driven we’ll be to get the writing done. You have lots of great reasons! @Bill, You have lots of reasons like Davina, but the last one you mentioned strikes a chord for me: “when I’m not writing, it feels as if something’s missing.” I feel the same way about writing, and dancing too! – It’s a creative outlet that allows me to express myself. More so than any other activity I know. – I love the response I get when I make people laugh. It makes me happy. -I’m not sure exactly what my calling is (i.e. what I’m MEANT to do with my life). But I think it involves writing some way. – It’s an achievable (i.e. not totally impossible) means by which I can break free from my present boring job, and earn enough money as an author, and be able to pursue my dream of traveling and being a ski-bum. Because I tried for 30 years not to and it didn’t work. Because I must. I can’t stop. Life demands that I write. There is always something to say because there is always a heart breaking, a life in turmoil. Life inspires me to go to my writing space every day and engage in my passion so that my words will find their way to the readers who need to hear them. I write because it is my purpose and my joy. I didn’t want to take up a disgustingly large amount of space, so I wrote on my own blog why I write, and I’m sure you’ll check it out sooner or later. A few points I left out is that I’m soon going to start learning Spanish, and with that, I’ll be able to communicate and create in another language and reach out to more people. I also have a deep love for words, twisting and tweaking them to my liking like magic. But I just love to entertain and make people laugh. Often I’m called crazy, but doing it keeps me sane. The main point is I write because I have to. @ Friar, that pretty much sums up why I write too, which is probably why I enjoy reading your blog so much. I write because I want to create, and writing has always been the most natural medium for me. Hi Melissa – I write because I enjoy it I guess. The trouble is, I struggle to write everything I want to write. I got into a muddle with my novel and it’s so difficult to get back on track. Melissa, I find myself not asking why but what moves me on a fairly regular basis. I love writing but when you do it for a living you are faced with writing becoming work . Yes, it can be work that you love but for me there is still a separation between my work and personal writing goals. I am fortunate to write for a living. I happen to love it and I have found a nice snuggly fit that has also expanded my horizons beyond what I ever anticipated. However, I am still faced with defining and achieving my personal writing goals and finding time to do both. I write because it helps me to organize my thoughts, it helps me to edit my thinking, it helps me to see connections between ideas that were dancing around in different parts of my brain and would probably never have come together if I hadn’t set them down on paper, and because it helps me to create a record of where I’ve been, where I am, and where I hope to go. @Friar, I so admire your gift of making people laugh. I think comedy is one of the most difficult things to accomplish in writing (which is why it’s so scarce) and your talent will definitely give you an edge if and when you pursue professional writing. @Deb (gscottage), I love your answer! Just goes to show that writing, for many of us, is a compulsion and a calling. @Cheryl, You are definitely someone with the calling, but more importantly, someone who heeds that calling. @t. sterling, Your post was wonderful! I think many, if not most, writers feel the same about writing. @Coby, Indeed it does! Creativity is rarely given the importance it deserves on the world/academic stage. @Zoe, That is one of my reasons too. I love being creative and writing is the most natural path to creativity for me. @Karen, Me too! There is a clear line between the writing I do for business and my personal goals for writing (poetry, novel, articles, etc.). I’m always looking for time, a way to get my work done and still have time left over to work on my personal projects. If only there were more hours in the day! @Marelisa, Augh! All those thoughts slamming around in my brain! I have to write to sort them out. Sometimes it feels like when I get the words on the page, my mind feels just a little lighter. Funny how that works! @Rebecca, It’s sort of a magical feeling, isn’t it? Melissa, it’s time, it’s time! NaNo has relaunched and things are heating up! @Deb (gscottage), Yes, and aren’t you excited? I am! I think I write to get emotions out of me that don’t come out in other ways. Wow, I’m kind of surprised by that answer. I used to write a lot in high school and shortly thereafter, but hadn’t done so in quite a few years until earlier this year. I probably should have kept writing all along as it may have deterred a depression I had to deal with but I’ll never know, but now I know I can write whenever I want to for whatever reason I want to and it’s ok! @Jenny, I bet simple self-expression brings a lot of people to writing. I do know that many of us got our start with writing by keeping journals and diaries, so it would make sense. Just remember, you can always start writing again, whenever you want and whenever you’re ready! Even if you break away, it’ll always be there, waiting for you. Thanks, Nemesismerri. I always love learning about other writers and what motivates them.